[By Nick] To say I've been jealous of Dubba and his shipment from Gelato Fiasco would be an understatement, especially given the fact he offered to have them send me the shipment but I felt like I had already had the majority of samples sent to me this year. So when I saw that the new Fresh Market in Saratoga carried GF, I might have done a heel click right then and there. Since Dubba has covered a majority of the flavors they stocked, I decided to grab a couple he hasn't reviewed and one that he had but sounded too good to pass up. 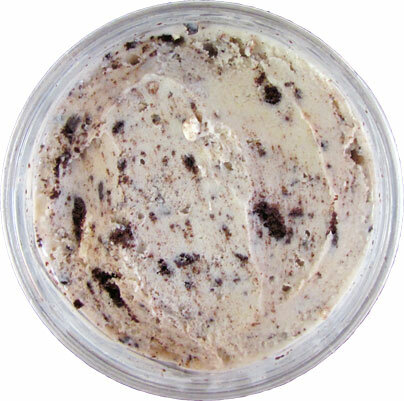 Described as "Crushed creme-filled cookies blended into milky gelato" this sounds almost like a gelato version of Chocolate Shoppe's Ultimate Oreo which I declared to be my favorite cookies and cream of all-time. I mean they're using a milky gelato base so mix in those bits of cookies and you essentially will have an oreo cookie based flavor. After having my first spoonful, it was love at first bite. Just like I had thought, this is Ultimate Oreo's Italian brother and, wait for it, I enjoyed it more. You see, the base gives you that milk dunked Oreo flavor. The fact companies use normal vanilla ice cream as their base for cookies and cream is beyond me after tasting these bases. The milkiness just works so well. Then you add the abundance amount of sandwich cookie pieces and bits throughout the pint. While it may not look like it, there are some decent sized chunks in this one. Though not as big as Chocolate Shoppe's, I did run into half of an intact cookie which I devoured with pleasure. They don't use Oreos (to my knowledge) but these cookies are very close. That's not all though! What makes this one perfect to me is the texture. 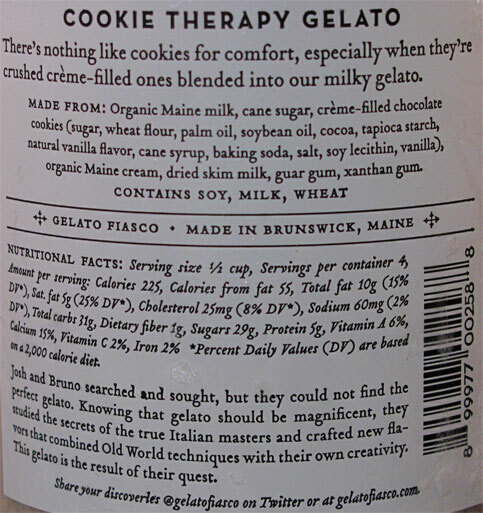 You all know I prefer authentic gelato texture to traditional ice cream and Gelato Fiasco has mastered that and more. This stuff destroys all of the mainstream brands and is on par with my beloved G.S. Gelato. The gelato is rich, velvety and just all around perfect. I'm kicking myself even more now for letting Dubba have that shipment. These guys in Maine know what they're doing. If you have access to this flavor, you're doing yourself an injustice by not picking it up. There's really nothing else I can say. Just buy it, eat it and leave me a comment telling me how right I am. Now excuse me while I decide which flavor of theirs next to try. Verdict? Where has this been all of my life? Buy Again? What do you think? Side Note: If you're ever bored, head on over to the Gelato Fiasco flavor vault and just look at all of the glorious flavors they've created. I've made my way through all 33 pages and I'm considering moving into one of their shops. So the cookies used here were also cream filled? I have a question, then. What do other companies do with the cream filling in their Cookies and Cream flavors if they don't use them in the ice cream? I just always assumed all companies used the cream filling as well as the chocolate cookie for their Cookies and Cream flavor, especially Breyer's Oreo Blasts, which boasts of having Oreos! We've been getting cheated for way too long, so it's nice that these companies are being generous to us by including the white cream filling that makes these cookies so delicious. Stride, I'm not too sure what you're asking. I haven't seen a cookies and cream flavor not use the cream filling. Excluding Chocolate Shoppe that adds balls of the cream filling into the ice cream, most companies just use broken cream filled cookies. Now that I have had Reese's Oreos....they should use those for this same thing! Sarah, I'd rather someone use the normal peanut butter oreos in an ice cream flavor. They do offer a pb c&c at their scoop shops every now and again though. Megan, they're a fairly new company but you better make up for those missed years asap! Thanks for clarifying that for me Dubba!. Nick, I misunderstood your comment from a previous review of Chocolate Shoppe Ultimate Oreo ice cream. You wrote: "Chocolate Shoppe has once again thought outside of the box. Instead of using just normal crushed up Oreo wafers, they seem to have added little balls of Oreo filling as well. This is definitely a unique idea and I applaud Chocolate Shoppe for their creativity." I thought you meant that other companies neglected to add the Oreo filling but what you meant is that in addition to the Oreo and the cream filling, extra balls of cream have also been added. I understand what you meant now. Sorry for the confusion! Was excited to try it and.....meh. I was looking for the marshmallow one but The Fresh Market didn't have it. I prefer Talenti's custard like flavor. Wasn't impressed. 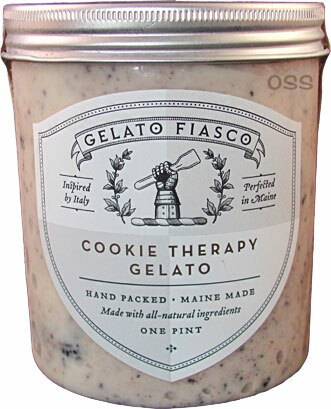 For $8.99 a pint, I expected a gelato that would rival the greatest of any cookies and cream ice cream out there. Where's the flavor? It hit me while I was explaining it to the misses why I didn't like this particular ice cream. It was like being handed a plate of Oreo's taking bite, and finding out you'd been handed Hydrox brand. This gelato has a dull, almost flavorless fake Oreo cookie flavor to it - Like Hydrox.